‘The Kalima of Laillaha illala is my castle, and whoever enters the castle will be safe. A castle is a strong building built by important people to keep them safe. 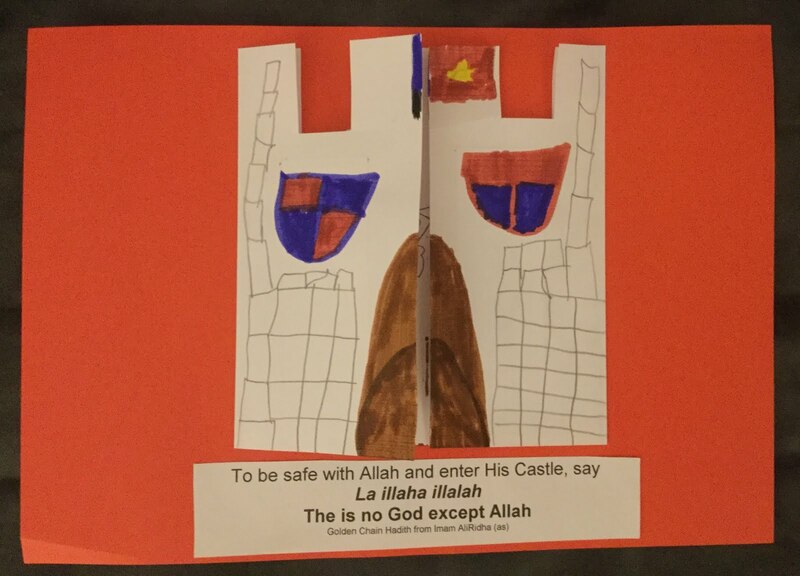 Nothing can be a greater and safer place than the castle of Allah! All Muslims believe in the Kalima. They say ‘La illaha illala’ with their lips, believe it with their hearts and show it in their actions. Words are powerful. They can have an affect on your body. The words of Allah are the best words and most powerful words. Remembering Allah and saying His words, helps you to feel better. Saying the dhikr with your heart means that you believe that Allah is the only One we worship, and understand that nothing is greater or more important than Him. You show ‘la illah illalah’ with your actions when you always listen and do what Allah has said, you obey Allah. Boy becomes ill, alim recites some verses of Qur’an. Doctor gets furious, his face turns red and he can not speak. How can you call me a donkey?! Alim explains, ‘please forgive me, I only said these rude words to make a point. Your face turned red, your heart started racing, you couldn’t talk…all because I said a few words. Now imagine, can God’s words not make a positive difference? Which one had the least movement of the lips and mouth even though the tongue was moving? The dhikr of la illaha is like a special secret between just you and Allah! No one else can tell what you’re saying or even see you speaking! Fold an A4 sheet of paper lengthways from both ends to meet in the middle. Cut 2 rectangles out of the top edge to resemble a castle with an opening. 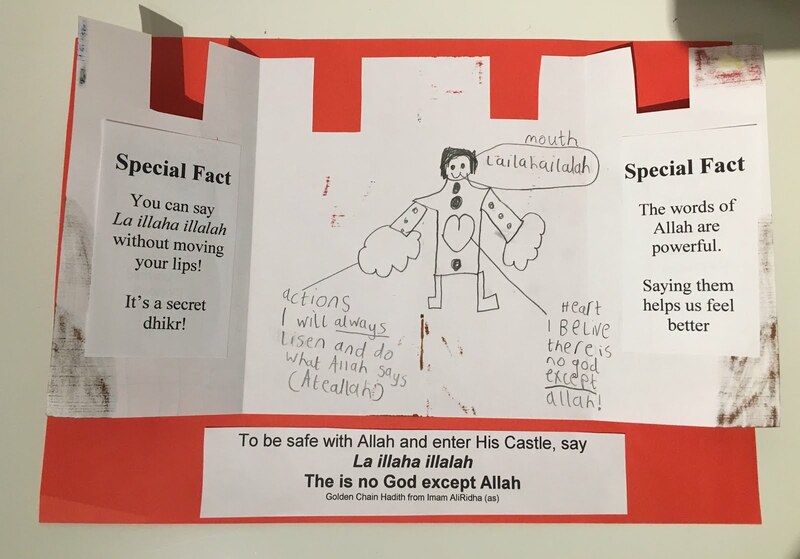 Inside, draw yourself and label the mouth, heart and hands, as the parts which must be involved in making the dhikr and explain how.